Now that Thunderbird is back in the Debian repositories, the decade long dispute that led to all Mozilla products in Debian being rebranded has ended. 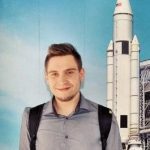 What’s it like to advocate for open source and be a rep for Mozilla in Slovenia? Nino Vranešič tells all. Mozilla seeks user feedback with a new project that gives users a chance to take planned features for a test flight. The Mozilla Foundation has hired Simon Phipps to examine and evaluate options for the Thunderbird desktop client, which is seeking a new home. His initial report was made public on Monday.